So reads a recent letter from chef-turned-school-food-activist Ann Cooper, who’s trying to close a $360,000 budget gap in her makeover of school meals in Boulder, Colo. She’s upended the menu, replacing cheesy pretzels and Eskimo pies with chicken pot pie and pasta Bolognese. She’s brought in a crew of professional cooks and aligned the kitchen’s computer system with the 21st century. Now all she needs is about 1,000 more kids to start buying lunch instead of bringing it from home. She wants an army of parents to help. In response to that letter, 176 parents volunteered to join in the battle to convince kids to eat the new and healthier meals. 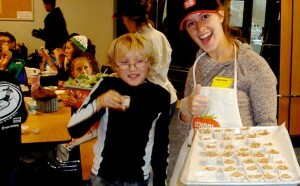 That’s in addition to more than 30 unpaid interns who visit the schools to conduct tastings and coach students on the new food. 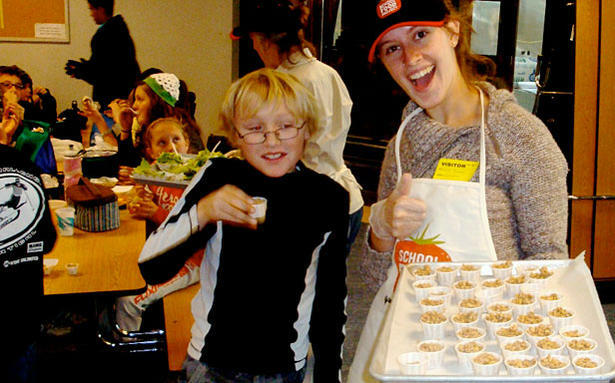 Whether it’s volunteering in the schools or writing checks to pay for kitchen equipment and training, Boulder residents have stepped up to make their school food revolution happen. Cooper couldn’t have gotten this far without them. But she still has a ways to go.